Would you like to attract better health, prosperity, intimacy, creativity, strength and wisdom? Do you wish to increase your energy level, improve relations, enhance career opportunities or jump-start your momentum? Feng Shui offers both technical and intuitive tools to help you create a nourishing and supportive living environment in which to thrive. Feng Shui is a form of environmental healing that recognizes the profound effect that surroundings have on human beings. The beauty of Feng Shui lies in ancient Asian wisdom that is deeply rooted in practical common sense. Safety and comfort are considered top priorities in the Feng Shui evaluation of any dwelling, business or landscape environment. Harmonizing and balancing of extremes are its core principals. Feng Shui includes esoteric aspects, but its origins are based on practicality. Feng Shui literally translates as Wind Water. The ancients recognized that building one's home on top of a hill may expose it to the threat of too much wind, whereas a home seated too low in a valley could subject it to the dangers of flooding. Both scenarios indicate an extreme imbalance of either wind (Feng) or water (Shui). Human beings thrive best in a balanced or "just right" environment. Modern research in Quantum physics and the ancient knowledge of Feng Shui both point to the realization that in nature, everything is alive, everything is connected and everything is changing. At the level of quantum energy, there is no separation between our environment and ourselves. When one's external environment is brought into alignment with nature's dynamic balance, one's internal environment inevitably reflects that balance. The effect is soothing to the central nervous system, resulting in a calm and energized body, mind and spirit. Much like a gardener, the Feng Shui expert is adept at assisting you to cultivate and direct the flow of Ch'i, or life force energy, into all the places in your environment that need it most. 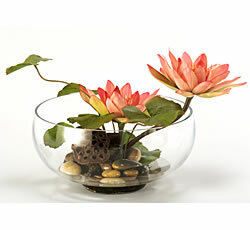 Feng Shui is a powerful way to catalyze rapid positive changes in your life. We proudly serve the following areas: Cardiff by the Sea, Carlsbad, Carmel Valley, Del Mar, Encinitas, Leucadia, Oceanside, Rancho Santa Fe, Solana Beach, Bonsall, Carmel Mountain Ranch, Escondido, Fallbrook, Mira Mesa, Poway, Ramona, Rancho Bernardo, Rancho Pentasquitos, San Marcos, Scripps Ranch, Valley Center, Vista, Bay Park, Clairemont, Coronado, Downtown San Diego, La Jolla, Mission Beach, Ocean Beach, Old Town San Diego, Pacific Beach, Point Loma, Torrey Pines, University City, The College Area, Del Cerro, City Heights/East San Diego, Emerald Hills, Encanto, Golden Hill, Hillcrest, Kensington, Linda Vista, Logan Heights, Mission Hills, Mission Valley, Normal Heights, North Park, San Carlos, Tierrasanta, Valencia Park.